As you enter, you will notice that you are entering one of the longest established schools in Malaga, capital of the province of Malaga. 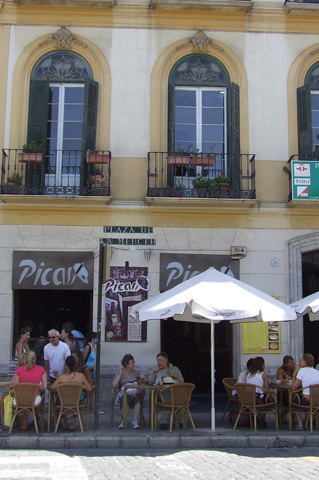 Linguamalaga is in the best spot in town, the very heart of the historic and cultural centre of Malaga. In fact, Picasso's birth place, now a museum, shares the same square as the school, and the Picasso Museum is nearby, too. You are passing the threshold where thousands of Spanish learners from all over the world have passed since 1982 in order to learn Spanish in Malaga. Everybody has their own style of learning. And it is for this reason that we have a professional team of experienced teachers who provide each student with the personal support needed to learn Spanish with only the most suitable methods. We offer 9 spacious and bright classrooms, library, free WIFI and Internet access. Our school has a friendly and relaxed environment and a great mixture of students from all over the world.